Last year, the Black community in <?xml:namespace prefix = st1 ns = "urn:schemas-microsoft-com:office:smarttags" />Britain mourned the death of the political and cultural activist John La Rose, 78, who died of a heart attack on 28 February. Like Marcus Garvey, CLR James, George Padmore, Fidel Castro and Frantz Fanon, La Rose belonged to a Caribbean tradition of radical and revolutionary activism whose input has reverberated across continents. He saw the world through the prism of Trinidad's creole culture, and believed it to have changed Britain entirely. A writer and publisher, La Rose was born in Trinidad in 1927 and was also an influential poet and cultural critic for over 50 years, both in the Caribbean and in England. He had been General Secretary of the West Indian Independence Party in Trinidad prior to coming to Britain. During the 1960s and 1970s he co-founded the Caribbean Artist Movement, the Caribbean Education and Community Workers Association, the Black Parents Movement and the George Padmore Institute. One of La Rose's favourite sayings was "We didn't come alive in Britain," an allusion to the struggles that had been waged by Caribbean peoples in the Caribbean against colonialism and for workers' and people's power. In 1966, he started New Beacon Bookshop in Finsbury Park, London. This was the first Caribbean publishing house, bookshop and international book service in Britain. The establishment provided services on Black issues to individuals, libraries, schools and colleges and universities ever since. In that same year, together with the Jamaican writer and broadcaster Andrew Salkey and the Barbadian poet and historian Kamau Brathwaite, he co-founded the Caribbean Artists Movement. 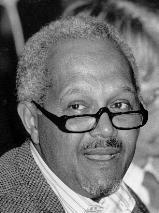 In 1972-73, he was chairman of the Institute of Race Relations and Towards Racial Justice, which published the radical campaigning journal Race Today, edited by Darcus Howe. La Rose had also been Director of the International Book Fair of Radical Black and Third World Books. In 1982, La Rose helped establish the group Africa Solidarity, a movement against the rise of tyranny in Africa. He also headed the Committee for the Release of Political Prisoners in Kenya, whose members included the acclaimed Kenyan novelist and critic, Ngugi wa Thiong'o. La Rose's contemporary, Linton Kwesi Johnson described him as "my mentor, friend, comrade, he was like a father to me. He was the most remarkable human being I have ever known. He was a man of great erudition whose generosity of spirit and clarity of vision and sincerity inspired people like me." Professor Norman Girvan of the Institute of International Relations at the University of the West Indies and former General Secretary of the Association of Caribbean States described La rose as “an astute political analyst who he would sit and listen to for hours”. He paid tribute to the writer and publisher, who he described as “a radical who was dedicated to the West Indies and to West Indian regionalism. Phyllis Knight who studied Caribbean Studies at the University of North London and knew John La Rose both in Trinidad and in England said that he had “lived his beliefs” and had made a “tremendous contribution to the West Indies and to its Diaspora”. Professor Jean Stubbs, Director of the Caribbean Studies Centre, who knew the anti-colonialist and supporter of Caribbean unity since 1981 acknowledged that New Beacon Bookshop had been and continued to be “the backbone of Caribbean Studies”..
Isaac Saney a Canadian based Trinidadian academic and writer said that John La Rose was known in Canada to anti-racists and to those interested in Pan-Caribbean issues, where his activities in publishing, community activity and aspirations for the unity of the region - were seen as a model. Dr Les Henry who teaches at Goldsmiths College in South London paid tribute to the role La Rose had played over decades in the emergence of Black academics in Britain and said that his death was a “big loss, but that his “light was still shining on us all”. Up to 1600 people packed the New Testament Church of God, in Wood Green, London for his funeral service. The depth of La Rose’s influence on the political, cultural and literary scene in Britain, and globally, over the past four decades was also manifest with the presence of a who’s who of writers, poets, academics and intellectuals in attendance. Poems were recited in his honour by granddaughter Chantelle La Rose, Kamau Braithwaite and Linton Kwesi Johnson. Tributes were also given by Kole Omotoso, Professor of Drama at the University of Stellenbosch, South Africa, David Abdulah, representative of the Oilfield Workers Trade Union of Trinidad and Tobago leader, of which La Rose was European representative, together with academics Susan Craig and Abdul Alkalimat. The Reception at Haringey, London, was a festive affair - a ‘Trini Lime’ – with food, drink, ‘ole talk’ and memories of John La Rose accompanied by Steel Pan, and Calypso in an atmosphere of purpose and togetherness. John La Rose is survived by his first wife Irma and their sons Michael and Keith, and Sarah White his partner and their son Wole. John La Rose, intellectual, trades unionist, film-maker, campaigner, poet, born December 27 1927; died February 28 2006. Shaun Hutchinson is a London-based journalist and The New Black Magazine's arts editor.